Is a Pre-Sale Bathroom Renovation Worth the Cost? Renovation is often associated with costly expenses and fees. But with the right project, profit and returns are guaranteed. This is why it is important to know which household upgrade to channel your money on. Case in point, bathroom renovations. Along with the kitchen, upgrading the bathroom has a significant effect on your total home value upon sale. This is especially true if the property in question is a fixer-upper where the opportunity to reap good revenue is high. Apply the 70% rule of flipping houses in real estate and you’ll know how much money you’ll have to spend on repair and the profit you’ll make, post-sale. Updating the bath is no ordinary undertaking. You hire contractors, decorators, and other tradespeople to work on this project. It takes money, time, and thorough thinking to complete a successful upgrade. But, you do all these for good reasons. ● Appearance – Renovations usually happen because of your desire to improve the look of a room. Whether it’s the colour palette that’s changed or the fixtures itself, the newly applied changes give you a refreshing sight to see; much like a breath of fresh air. Upgrading for looks mostly require a paint job, rearrangement, redecoration, and tile work. ● Functionality – Home upgrades in bathrooms are also done to improve its functionality. This includes shower head change, bathtub replacement, and additional storage. The purpose of this is to make your bath more practical. The more ways you can utilise the fixtures of the room, the better. ● Repair – You sometimes remodel your washroom because there is necessary repair work that needs to be done. Perhaps the sink is broken or the faucet gasket is loose? Maybe the water heater is not carrying enough hot water anymore. You update areas of your bath to fix broken parts that make the room less functional. ● Modernisation – As time passes, many new fixtures and furniture become available on the market. Existing amenities in your bathroom, on the other hand, become dated. You remodel your bath to accommodate these new additions and modernise your house. 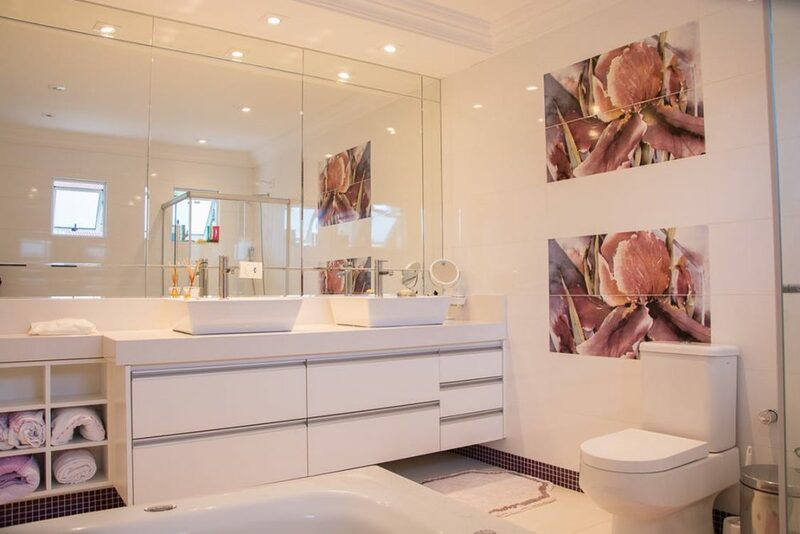 All four different reasons come from different desires but end up achieving one goal – a newly improved bathroom. ● Tile Repair/Replacement – Broken tiles give a bad impression to guests and prospective buyers of your home. When replacing your flooring, you have the option to install easy clean tiles or the anti-slip ones. If you prefer the former, those shiny porcelain or glazed one are better options. For your safety, however, go for rough textured-tiles, mattes, and other similar products. ● Light Fixture Upgrade – Forget about old fluorescent tubes and your usual bulbs. 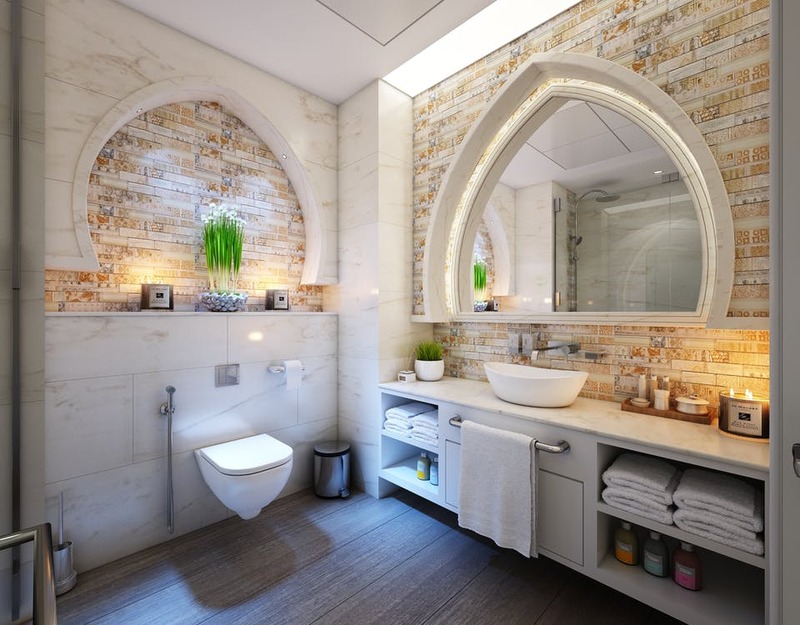 Think bigger, brighter, and more energy-efficient with your bathroom renovations. Consider putting in a smaller chandelier that becomes the new star of your bath. You may also opt for warm lights with a dimmer so you can set a romantic mood while soaking in the tub. Bath lights are like the cherry on top of a beautiful, newly renovated washroom. ● Paint Colour Change – Pick a colour scheme to apply on your bathroom walls. Ideally, the paint palette should go with the shade of your tiles and glass work. Matte paints look good for baths but glossy paints are amazing to pair with different colours of floor work. Consult with renovation experts like Sydney Bathroom Renovators for the best remodelling ideas and designs. ● Vanity Installation – Bathroom vanities make the biggest statement in a room. Old sink, outdated mirrors and cabinets, discoloured tubs, and similar problems are big turn offs. Install new vanities that make the room look sleek and fancy. Modern vanities are not your only options. You can put up classic designs as well for a retro-vintage theme. ● Luxury Shower – If you think shower heads don’t matter, think again. New designs for showers amp up the value of your bathroom. Trying to go modern? Choose the smart type with sensors. Meanwhile, if you want your bath to be more environment-friendly, there are eco showers as well. A little tip to remember: luxurious showers go well with new bathtubs. ● Room Storage – One of the biggest problems in baths is the lack of storage. While there are the usual cabinets for toiletries, it’s not all the time that you see bathrooms with more space for towels and other items. Make room for additional storage space. Perhaps you can have your mirrors and walls customised to create secret cabinets. Hanging fixtures are great space-savers if your area is a bit smaller. Be creative when thinking of additional space for storage. Don’t renovate for aesthetics alone, remodel your home for a purpose. Make your house upgrade worth the expense and enjoy the profit upon a house sale.